Chesterfield College Learning Resources Blog: Digital Ambassadors Wanted - Students Apply now! Digital Ambassadors Wanted - Students Apply now! 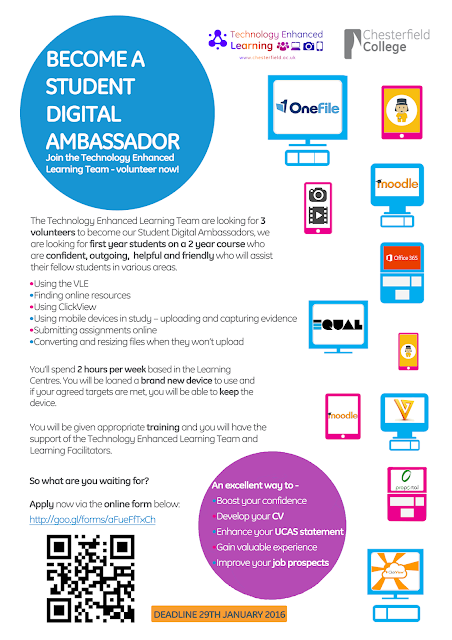 The Technology Enhanced Learning Team are looking for 3 volunteers to become our Student Digital Ambassadors, we are looking for first year students on a 2 year course who are confident, outgoing, helpful and friendly who will assist their fellow students in various areas. The Digital Ambassadors will spend 2 hours per week based in the Learning Centres, and will be loaned a brand new device to use and if the agreed targets are met, the ambassador will be able to keep the device. Before the Digital Ambassador begins supporting the students in college, appropriate training will be given by the TEL team and Learning Resources team. The deadline for applications is Friday 29th January! 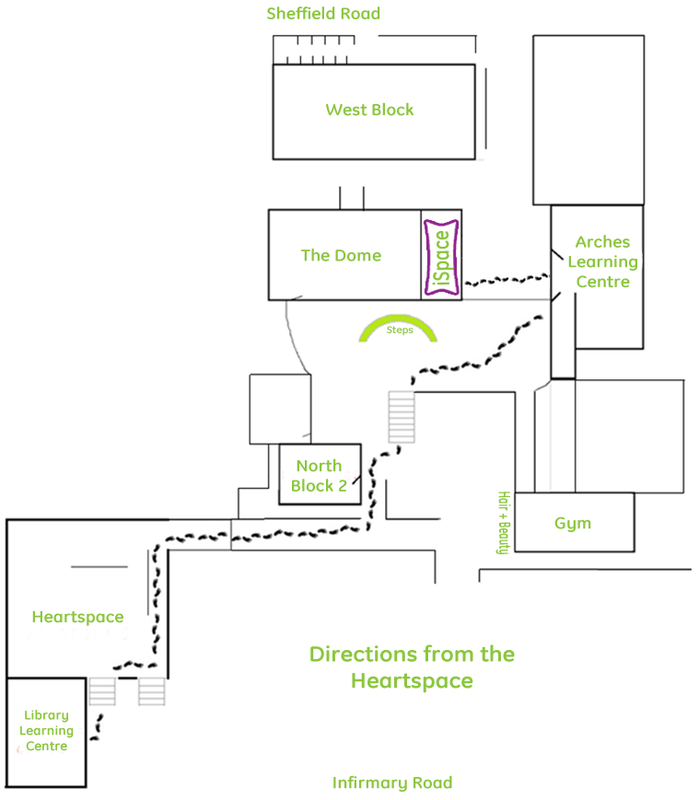 Please click on the image below to be re-directed to the Google application form.